E-mails that open with “I was extremely pleased to learn” are always welcome here at Catch Basin. 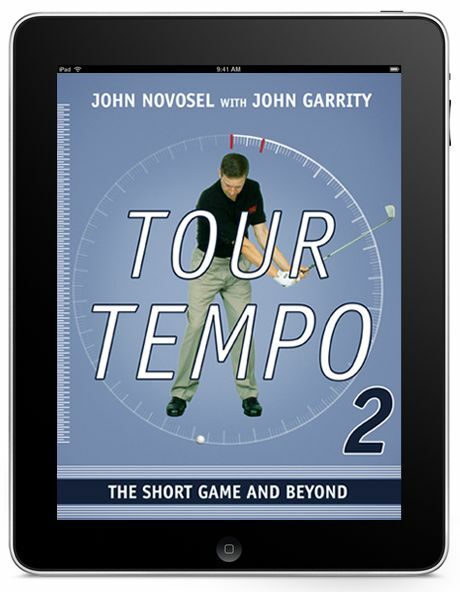 So is correspondence from any of our Top 50 course designers, living or dead. 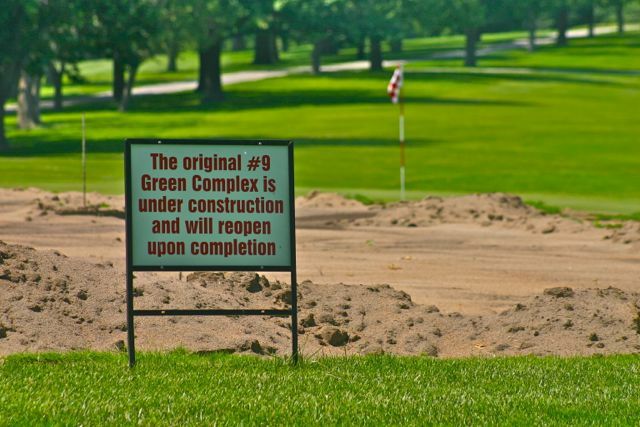 * Both attributes attach to this nice note from Bill Amick, designer of 20th-ranked Ridgewood Golf Club and renovator of Donald Ross’s 45th-ranked Hillcrest Course at Kansas City’s Heartland Golf Club. *Before you submit an error alert, please revisit my “Golf Ghost” series of interviews in SI Golf+, which included lively chats with Donald Ross and Alister MacKenzie. The fifth at Heartland reflects the collaborative efforts of Donald Ross and Bill Amick. But I’m still disappointed to see that two highly-regarded aqua-ranges — the one at the Mike Beebe-designed Grand Reserve Golf Club in Bunnell, Fla., and mine at Meadow Oaks Golf and Country Club in Hudson, Fla. — are not on your Best Aqua-ranges list. [See right sidebar] The Grand’s range is filled with greywater, I think. (I can never remember if it’s greywater or graywater, although both seem to come out of a sewer pipe.) The Meadow’s is a plain old Florida sinkhole filled with stagnant water. Treating Amick’s concerns with the proper sense of urgency, I immediately called Gary Van Sickle, our aqua-range ratings manager. Van Sickle listened to the Florida-based architect’s critique before issuing a decisive “Whatever.” So, as of this afternoon, Grand Reserve is No. 4 in the Aqua-range ranking, passing Imperial Lakewoods GC of Palmetto, Fla. Meanwhile, the aqua-range at Meadow Oaks remains unranked despite Amick’s puffing it up as “a plain old Florida sinkhole filled with stagnant water.” That’s because I never allow friendship, reputation or inadequate monetary considerations to influence our rankings. 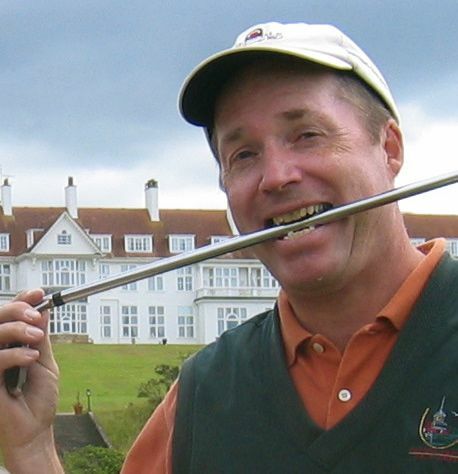 Amick had more to say in his e-mail, including his role in celebrating the upcoming opening of the so-called “Best Course in the World” in Scotland. I’ll address that, as well as Amick’s plans for a “dwarf course” in Ghana, in my next post. 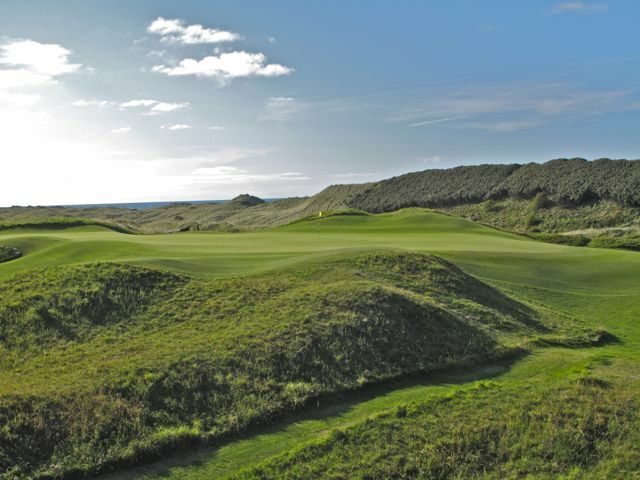 Others must rate Royal Portrush almost as highly. With roughly 27,000 spectators per day, Clarke’s home course is the first European Tour venue to completely sell out for every round. I see two points that need correcting in Muskie’s e-mail. The first is the perennial misunderstanding of “higher or lower score” as it pertains to the Top 50 rankings. The Cal Sci algorithm is concentrically weighted around “a perfect 10,” which means that high and low scores are to be avoided, not pursued. Put another way, if Smash star Katharine McPhee scores a 10 on the Carnegie Mellon Feminine Pulchritude Scale (FPS), she’s got no way to go but down. Or up. She can’t do better. Secondly, it would make no difference if they re-oriented that tee so it pointed straight down the fairway. Muskie would still slice his drive into the trees. But to the larger point, yes, we take minor alterations of a design into account when we issue our adjusted ratings. 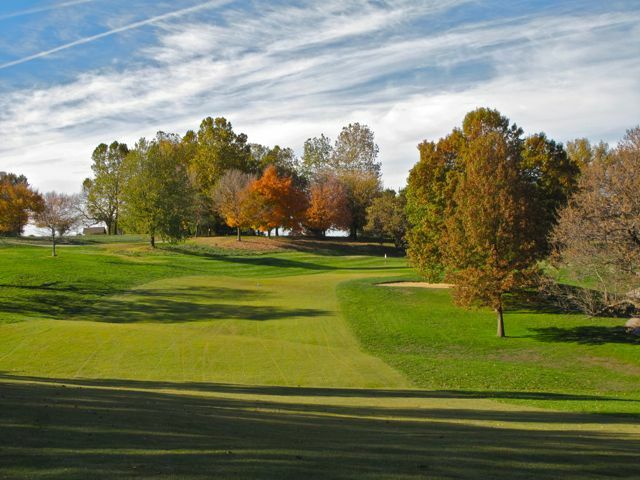 * For instance, the 45th-ranked Heartland Golf Club of Kansas City, Mo. 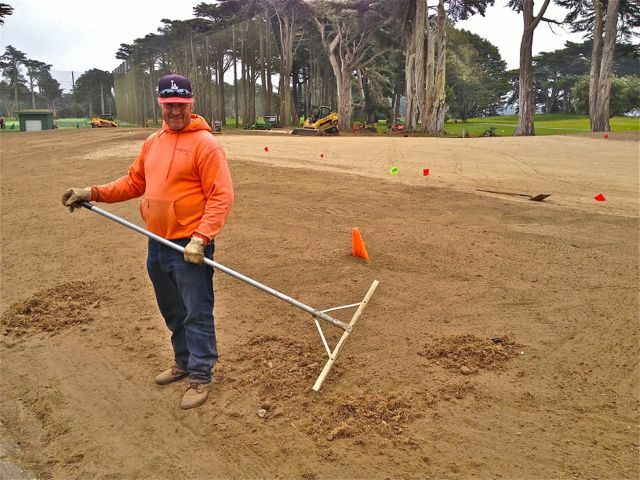 (aka Hillcrest Country Club) is restoring Donald Ross’s original ninth green, correcting a 21st-century design blunder. When the green is completed in the fall, Heartland could leap into the Top 40. * A new Top 50 is posted daily at 2:15 a.m. CDT. We publish hard-copy Mandarin and Portuguese versions on a weekly basis, but only in Africa and the Middle East. * If the new grass survives the typically-brutal San Francisco summer, HP will climb even higher. As for Pete Dye and his constant course-doctoring, give us some credit. We shadow his every movement with unpaid interns. Before I answer Glendive’s question, I have to correct him. Duke tipped us off to Bae, but credit for the Huh coverage goes to me and my print-media partner, Sports Illustrated Golf Plus, for which I pounded the Huh beat. And we weren’t psychic. We just couldn’t resist the opportunity to put “HUH?” in a headline. But getting back to Duke Ishikawa, I was going to query him about his nickname when it struck me that he might demand a million yen for his answer. So I forwarded Glendive’s question to our chief Allegheny correspondent and former Golf Writers Association of America president, Marino Parascenzo, who volunteered an answer in less time than it takes to set a Bear Trap. “The story of Duke Ishikawa goes back to the 1970s,” Marino replied in one of his elegant e-mails. Duke was getting to be a pretty regular visitor to U.S. tournaments back then, and one day he was chatting with Joe Concannon of the Boston Globe. (Did you know the late Joe?) Duke told Joe he wished he had an American name because people had so much trouble with his given name, Hiroshi. He said ‘Ishikawa’ was tough enough. An American first name would make things easier. Concannon told me the story, and Duke confirmed it. He liked Joe a lot.